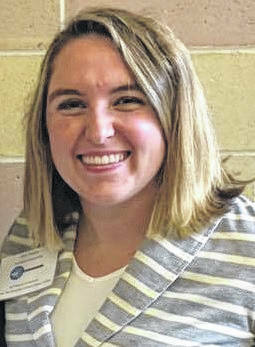 ASHLAND — Erin Staley of Dayton is a member of Ashland University’s Lambda Pi Eta. Staley is majoring in public relations and strategic communication and health and risk communication. She is the daughter of Jim and Susie Staley of Dayton. Staley is a 2015 graduate of Chaminade Julienne Catholic High School. Staley, a senior, is one of the co-presidents of Lambda Pi Eta. Lambda Pi Eta (LPH) is the National Communication Association’s official honor society at four-year colleges and universities. As an accredited member of the Association of College Honor Societies (ACHS), LPH is a member of the Association of College Honor Societies (ACHS), whose mission is to build a visibly cohesive community of national and international honor societies, individually and collaboratively exhibiting excellence in scholarship, service, programs, and governance. LPH represents what Aristotle described in The Rhetoric as three ingredients of persuasion: logos (Lambda), meaning logic; pathos (Pi), relating to emotion; and ethos (Eta), defined as character credibility and ethics. Lambda Pi Eta recognizes, fosters, and rewards outstanding scholastic achievement while stimulating interest in the communication discipline. Ashland University, ranked in the top tier of colleges and universities in U.S. News and World Report’s National Universities category for 2018, is a mid-sized, comprehensive private university conveniently located a short distance from Akron, Cleveland and Columbus. Religiously affiliated with the Brethren Church, Ashland University (www.ashland.edu) deeply values the individual student and offers a unique educational experience that combines the challenge of strong, applied academic programs with a faculty and staff who build nurturing relationships with their students.